From a gifted scientist and passionate teacher, this unique and practical guide shows us step by step how to move beyond the limits of the known and into an extraordinary new life. 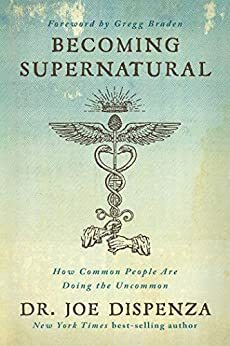 Joe Dispenza is a doctor, a scientist, and a modern-day mystic. . . . In a style that is simple, straightforward, and easy to understand, [he] has woven into a single volume the paradigm-altering discoveries of quantum science and the deep teachings that adepts of the past dedicated their entire lifetimes to master. In this provocative, fascinating book, Dr. Joe Dispenza shows that we are so much more than just our linear minds. As our savvy guide, Dr. Dispenza takes readers further than ordinary awareness to understand the infinite quantum field of consciousness which goes beyond the senses and beyond space and time. I recommend this book to everyone who wants to explore the extraordinary nature of consciousness and healing. The latest work from New York Times bestselling author combines science and practise to show readers how they can step outside physical reality and enter into the quantum field where infinite possibility exists. This is the best book for anyone want to understand how to change yourself PERMANENTLY, go deeper within you and learn the concept why you do what you do and in very simple language which you can understand. I have been looking for this information for so many years, and it's very hard to get this knowledge and if by any chance you get access to old scriptures, you still won't be able to understand them. Dr Joe has done all the hard work for you and gave you this wealth of knowledge in this book and with the aid of Dr Joe's meditation you can heal yourself, get what you want, possibilities are unlimited. I highly recommend this book. Joe's new book will make a difference. 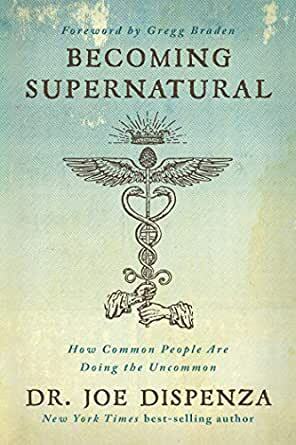 A 'must read'; really well structured and a step-by-step process to 'becoming supernatural'. Scientifically quantified; amazing examples of how powerful we all are! Dr Joe Dispenza .. don't stop writing! 5.0 out of 5 starsLife changing. Fantastic book. Amazing inspiring read. Something to read again and again. Life changing. Written with energy and passion and choc full of information this book by Joe Dispenza is a winner on many levels. 5.0 out of 5 starsAmazing, inspiring and fascinating research. Definitely recommend this book! Thoroughly researched, easy to understand and great use of examples and stories. Absolutely recommend and love Dr Joe Dispenza's work. Thank you for this amazing work! Everything is explained in this book. Everyone should have access to this information. Read it!